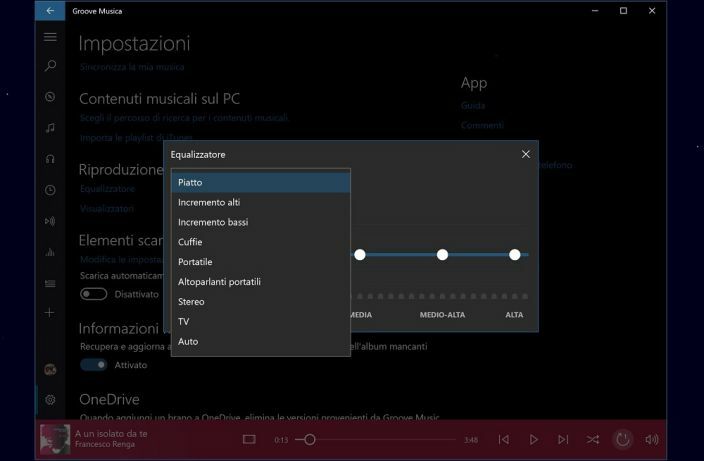 Groove Music app update version 10.18011.11411.0 is now rolling out for Insiders in the Fast Ring. The latest update adds the Equalizer feature to the Groove app. The Equalizer comes with several presets like Flat, Treble Boost, Bass Boost, etc. Users can access the equalizer from the Settings page. Added Equalizer to the app. Download the updated app from Microsoft Store.